What do you do when you have the opportunity to sample tea from a company that only sells wholesale? Read on. When I accepted Espirita Tea's offer for six teas, I did not know anything about the company. I've since learned a few things about the company. Another thing I was unfamiliar with before sampling Espirita Teas is GABA tea. The production of GABA tea was developed in Japan using green tea. However, GABA tea can be processed as oolong or black tea, according to Jane Pettigrew. 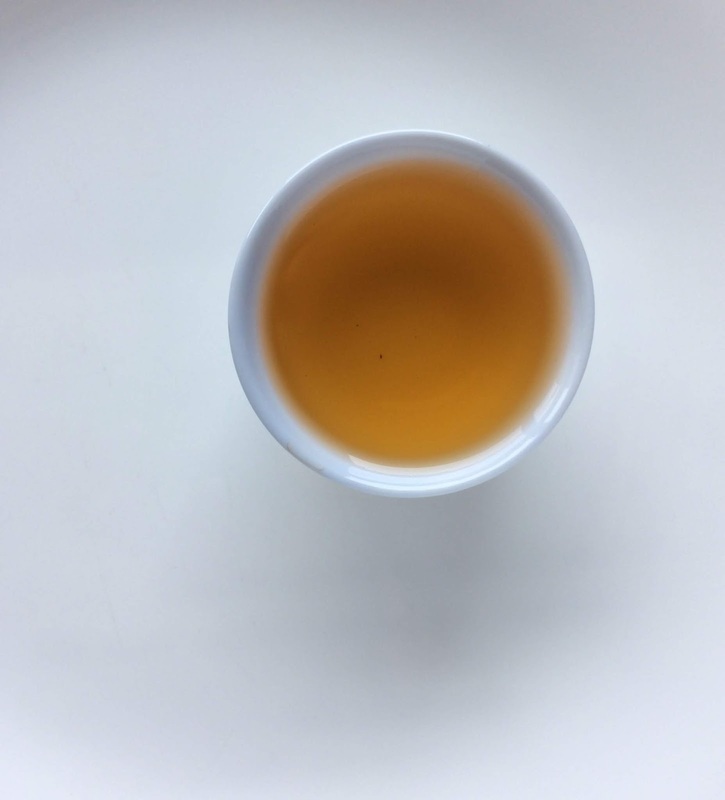 There is concern in the industry that teas classified as GABA oolongs are not true oolongs. In the Japanese method, leaves are exposed to nitrogen after plucking and before steaming. The presence of nitrogen during this phase increases the concentration of the GABA amino acid. This appears to be the case for oolong and back tea; tea leaves are exposed to nitrogen during the oxidation phase. Consuming this amino acid has been linked to reduced anxiety and stress as well as improvement in mental function. I'll talk more about the GABA effect at the end of my tasing notes. I'm not a "diamond are a girl's best friend" person but I like ruby oolong so I was curious about another gem-named tea. tea made me choose it as the first of six teas to drink. The dry leaves are ball rolled and when infused reveal a medium pluck. I'd peg this oolong as an amber oolong. There were no preparation instructions printed on the tea pouch or on the website. I used 4 grams and 200F water for my steeping session. The dry leaves smelled fruity and toasted. These scents plus a sweet note were present in the infused leaves. The first three infusion were one minute long. The leaf scents carried over to the liquor of the first cup. The second infusion had all the same notes plus thyme! The third infusion was much the same, and this was a good thing, and decidedly smooth. The fourth infusion was 90 seconds long and yielded a not-as-thick liquor though it was still toasty, sweet, and fruity. The specific sweet profile was vanilla maple and that of the fruit was baked fruit. The fifth infusion was my last. It was two minutes in length and yielded a weaker cup of tea but one with a dry, herbal sweetness. According to the Espirita Tea website, there are 150 mg of GABA in each cup of tea. Over the course of my session, I probably hit this mark. Did I get the GABA effect? I'm not sure. I am always in a better mood after drinking tea. I'll have to drink more cups of this GABA oolong to find out if there's something more to it than a typical tea. I can say that I enjoyed how it tasted. This GABA tea was provided by Espirita Tea Company.